Seafood enthousiasts will love The Pelican for its seaside atmosphere along the famous Marina Bay but mostly for its bountiful portions of fresh fish and shellfish. Whether you like it raw, panned, steamed or grilled over a wood fire, you'll find here the perfect dish to satisfy your muchies. A must-try is The popular Pelican Platter at S$128++, which serves 2-3 guests and is a daily selection of raw oysters and clams, steamed lobster, crab, prawns and mussels. 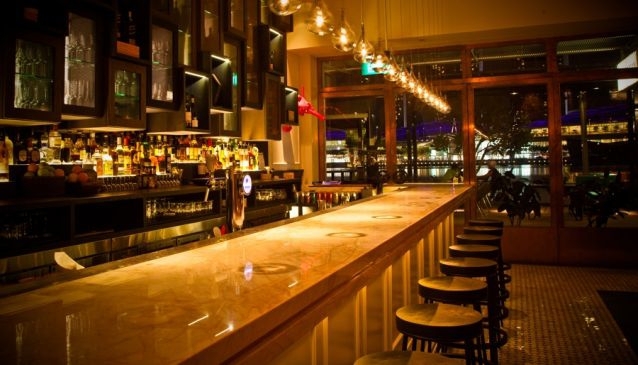 Guests can also have some lite bites at the seven-metre long marble-top bar while watching the bartenders in full action concocting The Pelican's cocktails. The 3- course Set Lunch is at S$38++. The Pelican Deck opens Monday to Saturday from .pm to 12midnight and on Fridays until 2am.